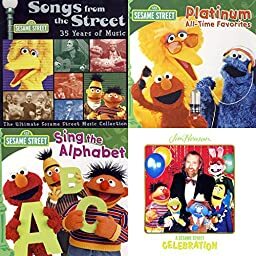 These songs by the Sesame Street favorite will really tickle you and your kids. Luis & Elmo feat. Luis - Sesame Street: Fiesta Songs! Elmo & The Sesame Street Kids - Sesame Street: Elmopalooza!